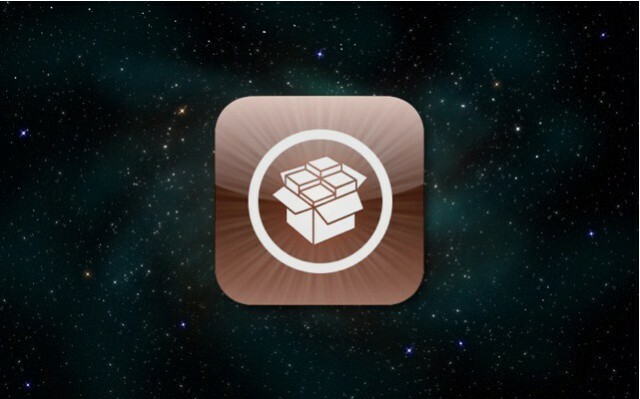 The world of iOS jailbreaking appears to be crumbling, and Apple’s security team is at the heart of that offensive. Of course, there’s no dearth of jailbreakers claiming to have found the Holy Grail for an iOS 10.3 jailbreak, but where’s the real thing? Now that Apple has pushed iOS 10.3.1 directly to public users, and is already on the first iOS 10.3.2 beta, what’s the possibility of a full, untethered iOS 10.3 jailbreak for public users? iOS 10.3.1 fixed a WiFi bug from iOS 10.3 that allowed hackers to take control of an iPhone by executing arbitrary code. While that’s encouraging, there’s no sign of an exploit that can be used to gain root access. Besides, the fact that Apple patched the vulnerability found by Google’s Project Zero security team within a week of its release shows just how proactive the iPhone maker has become. What’s the Deal with APFS? With the new Apple File System, we might have actually seen a major door closing for any sort of iOS 10.3 or 10.3.1 jailbreak. “Strong encryption and improved file system fundamentals” is what APFS promises, and until there is clear evidence of a possible exploit that can be used to develop an iOS 10.3 / iOS 10.3.1 jailbreak, we’ll take what comes with a pinch of salt. In future, jailbreakers may find flaws within APFS that could potentially be used to develop a jailbreak, but the rate at which Apple is moving, that’s highly unlikely. Using their money muscle through the bug bounty program, they’ve already taken quite a few famous jailbreakers “hostage”, like Team Pangu. But they could be ‘semi-tethered’, in a manner of speaking, since their resignation from iOS jailbreaking is not yet confirmed. There is, however, the possibility that someone will find a way once Apple publishes the APFS volume format specification, but that’s only going to happen when the company releases APFS for macOS later this year. By that time, it’s likely that the bulk of iOS users may have moved on to a future iOS version such as iOS 10.4, if that’s on the cards. For now, Apple has not made open source implementation available for APFS – a tactical move to preempt an iOS 10.3 jailbreak, perhaps? Where Do We Stand on an iOS 10.3.1 / iOS 10.3 Jailbreak? Considering the fact that even Yalu102 remains in beta status as far as we know, any iOS 10.3.1 or iOS 10.3 jailbreak – semi-tethered or otherwise will be extremely unstable, and unsuitable for most users that aren’t developers. That kind of narrows down the opportunity for casual jailbreakers who just want a little customization and some third-party apps. The unofficial Pangu jailbreak for iOS 10.3 and iOS 10.3.1 and Yalu103 were tethered, and only worked on the developer versions of iOS 10.3 up to beta 5, so that’s out of the equation now. And Cydia was quite unstable as well, so you’d have had to have some dev knowledge, anyway. The zJailbreak app (go to this page on your iOS 10.3 or 10.3.1 device) seems to be the last resort if you want some jailbreak apps on your device. Using this app, you can install Cydia Lite, not the fully functional Cydia, on your iOS 10.3 or iOS 10.3.1 upgraded device. At the very least, zJailbreak appears to be stable, and we may yet see a semi-tethered Yalu or Pangu iOS 10.3.1/10.3 jailbreak. What’s very likely is that jailbreaking could once again become a niche activity, with the general public unable to get an easy tool to use. Sideloading apps on iOS 10.3 and higher may become the order of the day, since it doesn’t require the device to be jailbroken. But you never know. NOTE: Jailbreaking an iOS device voids any warranty, so proceed with caution. We cannot take responsibility for anything that happens to your device. While jailbreaking is not considered illegal in most countries, the onus is completely on you, the end user. Thanks for reading our work! If you enjoyed it or found value, please share it using the social media share buttons on this page. If you have something to tell us, there’s a comments section right below, or you can contact@1redDrop.com us.